one for eating and the other for carving. 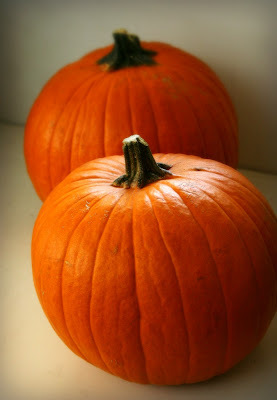 Start by preparing the pumpkin. 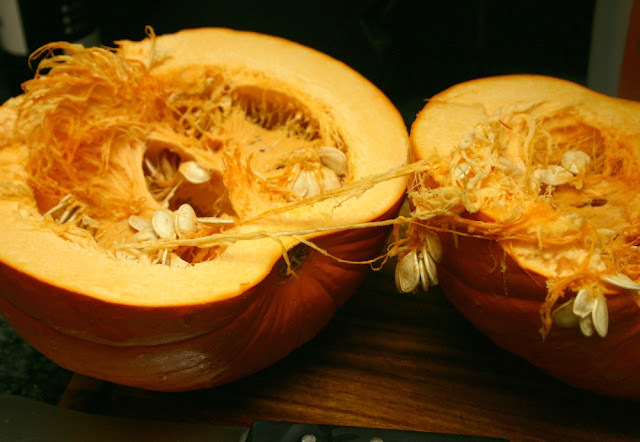 I have to say that the hardest part about cooking with fresh pumpkin is the ...disassembly. You'll need some muscle to hack it into two, then into smaller pieces. It also takes awhile to carve away the skin but once you strip it all down to its flesh, you'll be nicely rewarded. 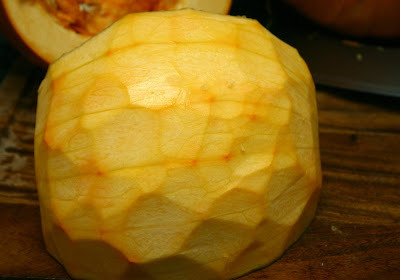 The insides of a pumpkin -- not a pretty sight, eh? It almost looks like an alien's lair with the mess of stringy bits and dangling seeds. Be brave. Pull everything out, separate the seeds (if you want to turn them into a snack later) and use a spoon to scoop out all the innards. This is what it looks like after it has been quartered and cleaned out. 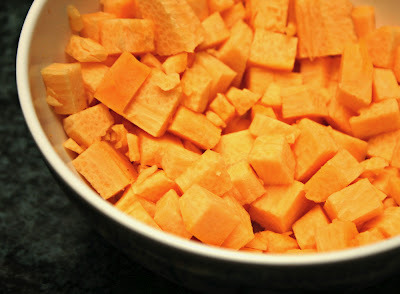 you'll want about 3 cups of diced fresh pumpkin. 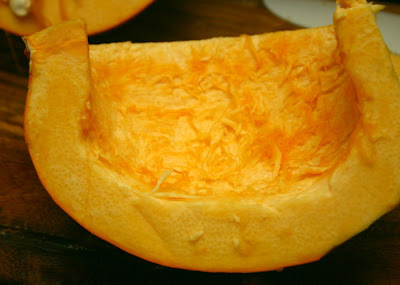 You can cook and puree the remaining pumpkin or leave it raw but cut it into larger pieces for stews and other recipes. 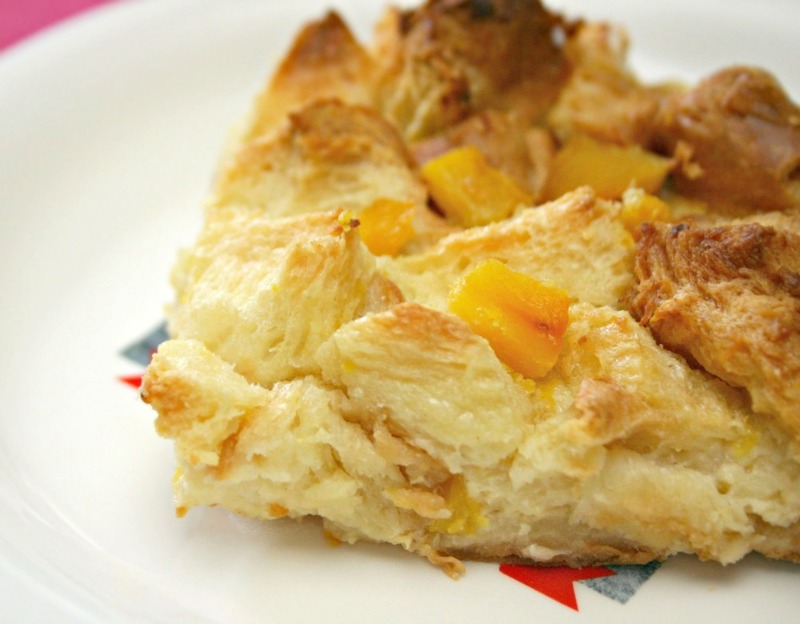 great flavor and richness to the bread pudding. Preheat the oven to 350 degrees. 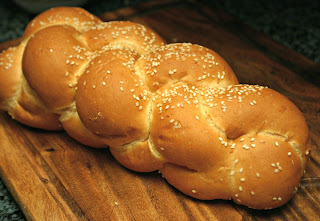 Cut the Challah bread into large cubes and set aside. 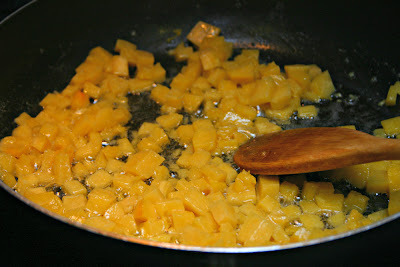 In a medium frying pan, melt the butter and saute the diced pumpkin over medium heat for about 3 minutes, just enough to soften it a little. The pumpkin will soften more when it cooks with the bread pudding in the oven. 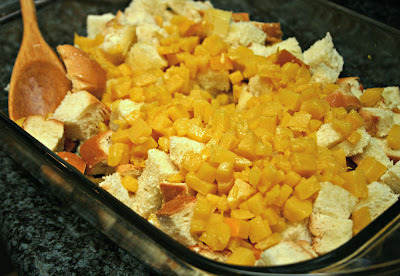 Arrange the bread cubes in a baking dish then pour the pumpkin and butter over it. Mix well and allow the bread to soak up the juices. Set aside. 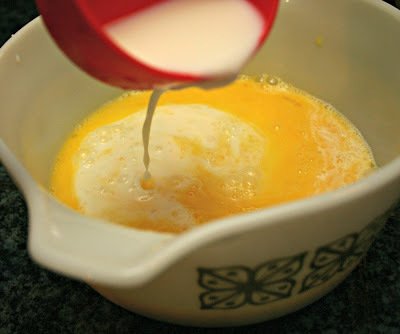 Add the eggs, coffee creamer, milk, maple syrup and vanilla extract in a large bowl and whisk together to incorporate. 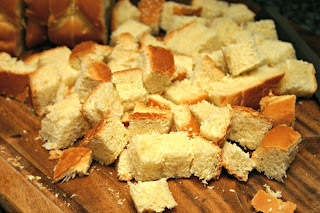 Pour the mixture over the bread to saturate it. 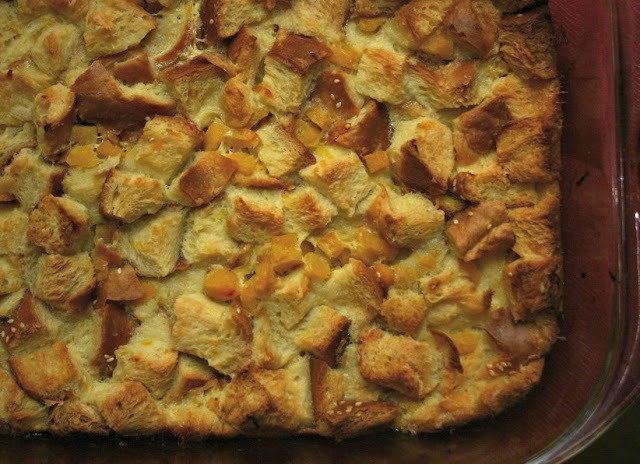 Pop it into the pre-heated oven for about 55 to 60 minutes, or until the edges and top of the bread pudding have turned a nice golden brown color. 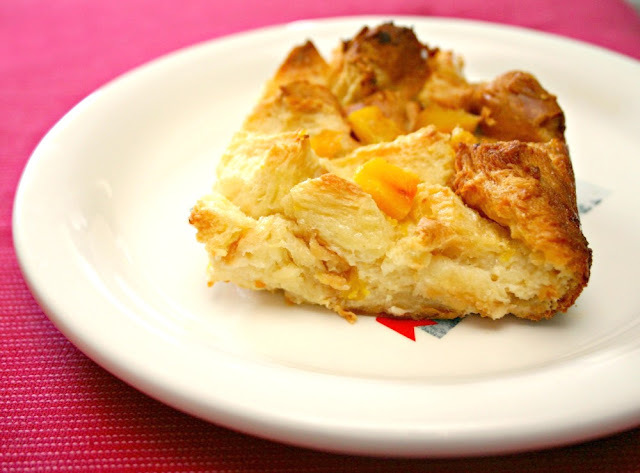 You can serve it with a sauce if you'd like but I personally enjoy bread pudding without the sauce as I find it to be too sweet with an additional sauce. 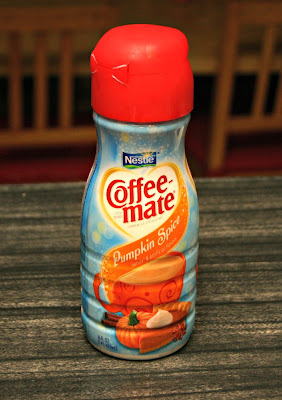 I sometimes add a little bit of whipped topping to it when I eat it for dessert but more often than not, this is something I enjoy for breakfast, with my morning coffee. 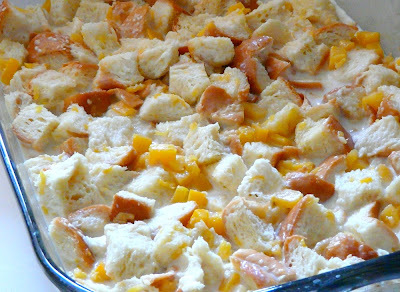 Celebrate the season with pumpkin bread pudding!